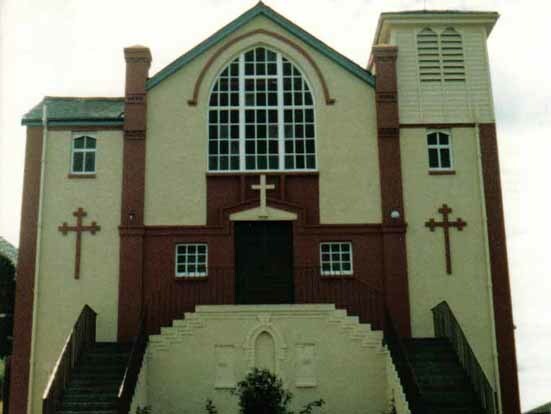 Changes to the outside of our church.
. Oldest photograph - 1930s/40s? 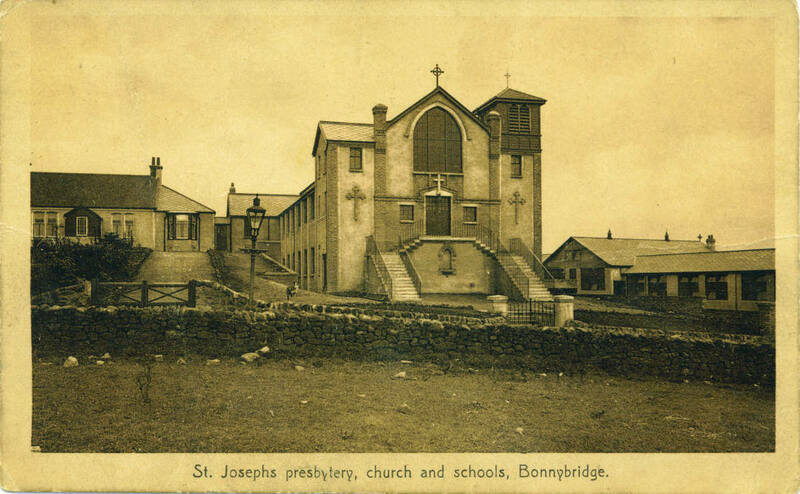 An old picture postcard view - note single-storey chapel house and low roofs of St Joseph's School to the right. 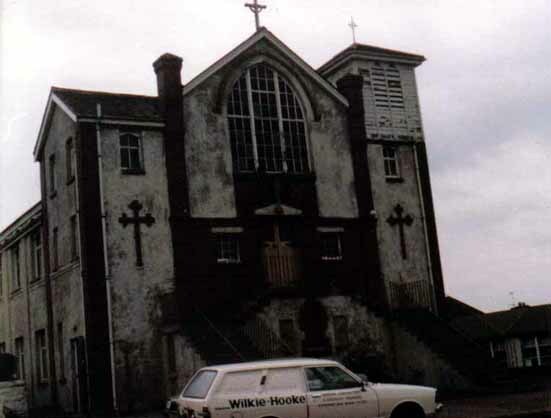 Date unknown - looking very dilapidated. There was heavy pollution in High Bonnybridge from foundries and brickworks. St Joseph's did not escape from the murky amosphere. 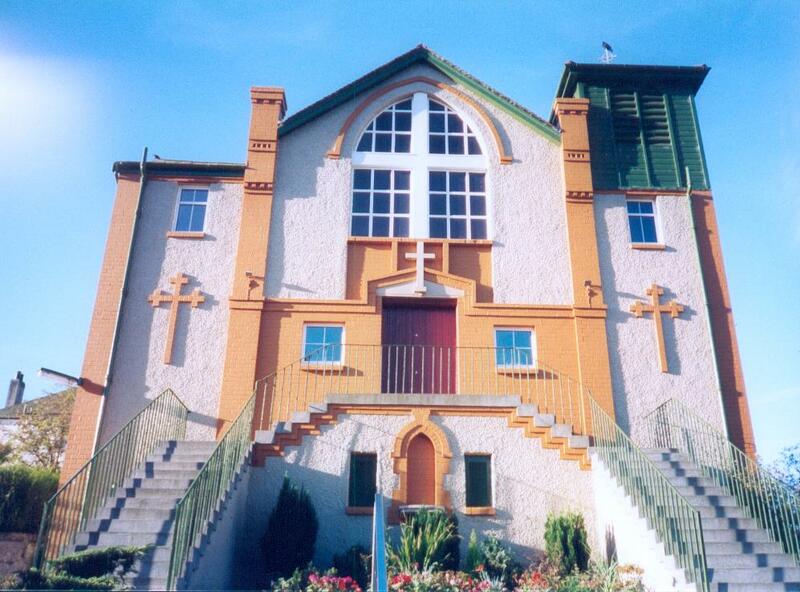 Freshly painted and looking very smart. Date Unknown. Freshly painted again in bright colours. 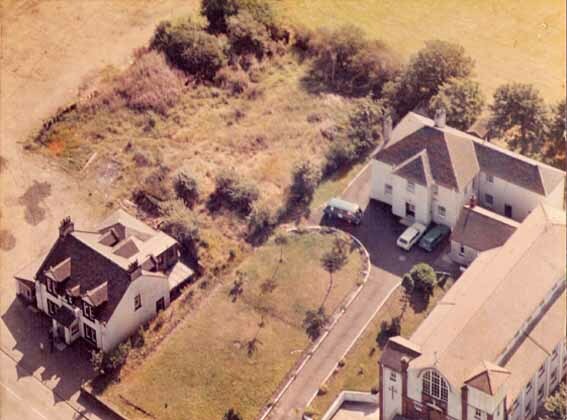 Aerial view - date unknown. The rough ground bewtween the church house (top left) and the pub (bottom left) has long since been converted for industrial use. 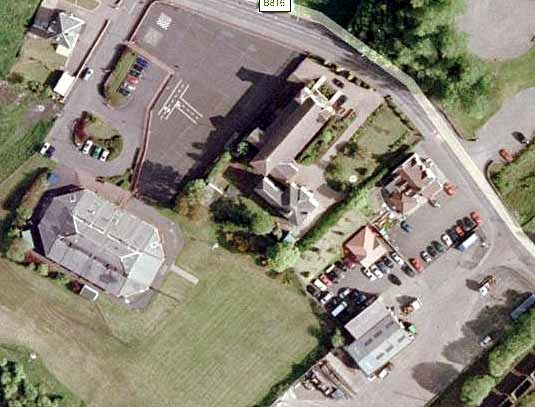 This view shows the new school, the playground, the church with the driveway up to the house - and the pub next door!